It’s day 5 of the Whimsy Stamps May rubber stamp & die release! PRIZE ALERT ... We have hidden FOUR prizes of 2 new release rubber stamps somewhere on the DT’s blogs throughout our 5-day release event this week. 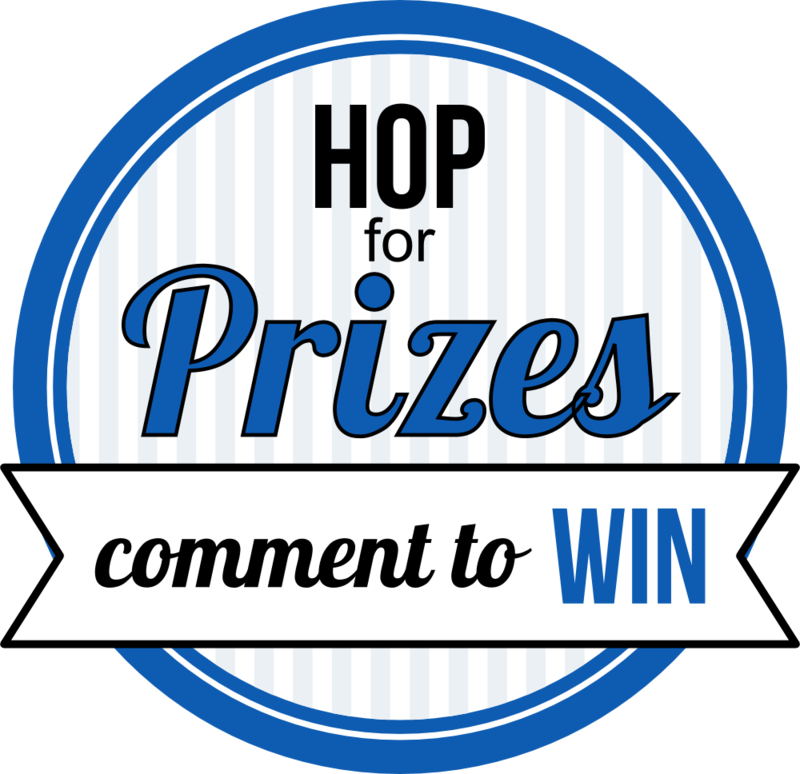 As the location of the prizes are secret, be sure to leave a comment on ALL the stops on each daily blog hop to maximize your chance of winning! We will draw the lucky winners over the weekend and announce them on the Whimsy blog next week. Today we are excited to show you the brand new Elisabeth Bell and Time for Tea Designs stamps released this month. For a full reveal of these stamps, check out the Whimsy blog! For today's project, I have inked up Sunnydee and Sunflowers and have gone with bright colours, although these papers are from the same In the Country paper pack designed by Michele that I used on my previous card. Two totally different looks! I also used the new Fluttering By sentiment stamps designed by our very own Simonne, and also the matching Butterfly Frame Die. 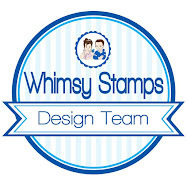 Whimsy Stamps May rubber stamp & die release! 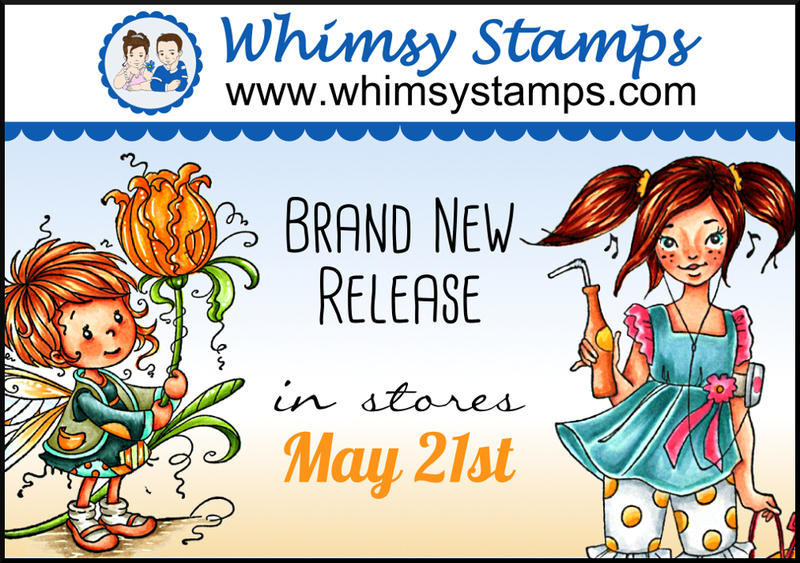 Over the next 5 days we will reveal the new May 2014 Whimsy Stamps products. We are releasing a fabulous selection of new goodies this month, and the entire release will be available to buy from the Whimsy Stamps store and from all good Whimsy Stamps retailers from Wednesday (21st May). We are thrilled to welcome Danni and Linda as our Guest Designers this month. Welcome girls - we can't wait to see what you have created! Today we are excited to show you the brand new Sylvia Zet and Cathy Delanssay stamps released this month. For a full reveal of these stamps, check out the Whimsy blog! For today's project, I have inked up Wee Daphne – now seriously, is this some serious cuteness or what ?!?! So as well as using Wee Daphne I have used the delish Fluttering By sentiment stamps designed by our very own Simonne, and also the matching Butterfly Frame Die. And not to forget the sublime In the Country paper pack designed by Michele – the little tags are part of the paper pack, the sentiment I have used on the tag is from the Fluttering By sentiment set. Be sure to visit the Whimsy blog tomorrow for our second day of sneak peeks. Oh man! Have you seen the new BeYOUtiful digi kit at Nitwit Collections. Mmmm totally delish and I think it should just be called the Bev digi kit cause it is just so very me lol. You don’t have to be greedy like me and buy the bundled kit, it is also broken up into smaller kits. The top of the insert has been cut with a Marianne Design die, edges inked and embellished with a few little pearls. A closer look at the delish flowers from Wild Orchid Crafts. I used a Bead Flower, cottage rose, lilies and open roses in 20mm 10mm and 15mm. I also made some little flowers using metal bead caps and glued a 12mm flat backed pearl in the centre. I trimmed the bottom of the card with organza rose trimming. 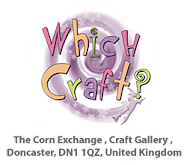 That’s it from me today, I’ll be back Monday for the new Whimsy Stamps release hop (oh and Friday as well). Have a fabulous weekend, the sun is shining up here in the frozen North! I had (another) tidy up in my craft room yesterday, okay not so much a tidy up but a sort out of my stamping cupboards. I found a basket full of stamps the majority of have not seen ink, and I didn’t even know I had them! Big blushes here haha. So I quickly got bored with sorting out and decided to have a little play instead. I used some of my new goodies that I picked up last weekend when I got my Ebosser (did I say I love this machine?!? No more cranking of handles and hurting my neck). The paper is from the C’est la vie pad by Melissa Frances, love these colours. The wee corner is also a MF embellie, and I made the little locket and key using Martha Stewart clay and moulds then dirtied them up a bit with ink. All the delish flowers are from Wild Orchid Crafts and I used a trellis rose, 25mm wild rose, open roses in 20mm, 15mm and 10mm, sweetheart blossoms and a fabric daisy. The leaves are die cut with a Cheery Lynn die. The lace and seam binding (that also got the dirty treatment) is from WOC too. Oops, here’s a card I made last week and forgot to post. It’s one of those gorgeous Sugar Nellie Fairies – man I just adore these stamps. They are such fun to colour, and once again I only used markers to colour up this cutie. My granddaughter had her 6th birthday party at Papercuts Whitley Bay on Saturday so, as you do, I had a browse and an Ebosser jumped into my basket (LOVE LOVE LOVE this machine!!!) and some Melissa Frances goodies (well they were half price!) and the new Papermania Eau de Nil paper pad, which I have used on this card. Totally sublime! The flowers, seam binding and heart rhinestone embellishment that I used in the centre of the bow are form Wild Orchid Crafts. The flowers used are cottage rose, cherry blossoms, open roses in 20mm 15mm and lilies.